The Quad is one of two incredibly challenging races that take place on Mt. Taylor. Every fall, runners race up and down its hills, making their way around to the top in the Mt. Taylor 50k, a 31-mile trail race through the forest, and along part of the Continental Divide Trail. 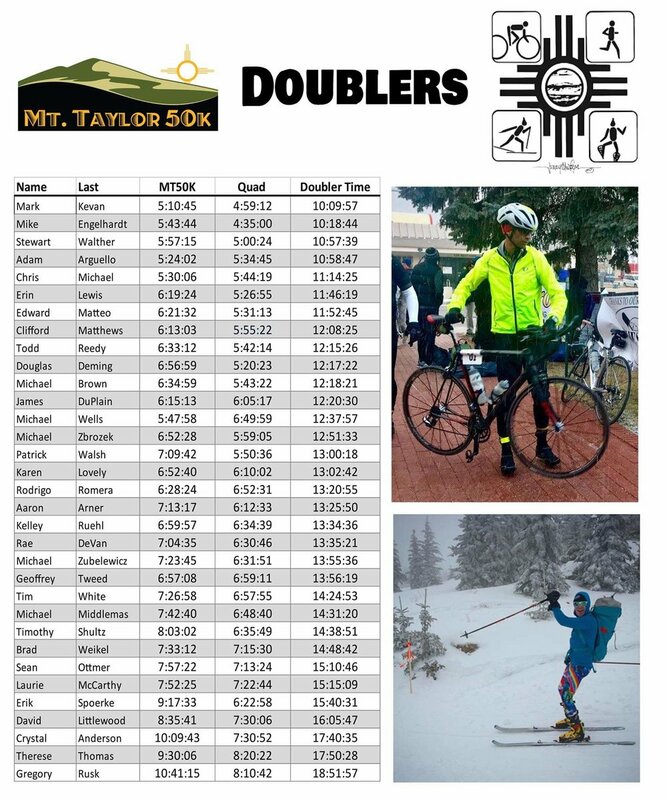 Emboldened by their personal victories in the 50k, some of these racers return a few months later to summit the mountain yet again, but in much worse conditions, in the Quad. Participants who finish both races are DOUBLERS and will receive a scarf for to commemorate their defiance of the elements. Do you have the will to double your boldness?